Minimum opening balance of $25.00, this represents your member ownership in the Credit Union. No monthly service charge, dividends are compounded and paid quarterly. 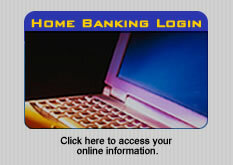 In addition to a regular savings account, members may open other sub-accounts such as a Household Savings Account. This account pays a higher dividend rate for maintaining a higher balance. Minimum balance is $2,500, no monthly service charge, no limits on deposits or withdrawals. Dividends are compounded and paid monthly. Accounts with a balance of $20,000 or more will receive an even higher dividend rate. Open a separate sub-account to save throughout the year for your holiday shopping. Either save through payroll deduction or make your own deposits, there is no minimum balance and no service charge. A check is mailed out around November 1st of each year. Dividends are compounded and paid quarterly. Minimum opening deposit is $5.00, dividends are compounded and paid quarterly. This is a nice way to encourage your children to learn the value of savings accounts. We offer share certificates with terms of 91 days, 6 months, 1 year and 30 months. These are nice alternatives for members who wish to achieve a higher investment rate. They are available with a minimum deposit of $500. Dividends are paid at maturity or annually. Your accounts are federally insured to at least $250,000 through the National Credit Union Administration (NCUA) a U. S. Government Agency. The federal insurance protects your money at the credit union in share savings, share draft/checking, money market, share certificate, trust fund, and retirement accounts.